Sony hardware fans, you've now got at least two more options when it comes to Android-based software. The current Sony flagship, the Xperia Z1, is now officially supported by the CyanogenMod ROM. 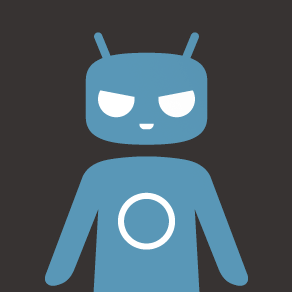 The first CM 11 (Android 4.4) nightly build was posted to the CyanogenMod download page last night. There's also a new version of CM 11 built specifically for the Xperia Z Ultra Google Play Edition, the AOSP version of Sony's monster phablet on sale in the Play Store. The Xperia Z1 build is a true nightly, which means that it should be mostly functional, though you can expect a few errant bugs here and there. The Xperia Z Ultra GPE build is in the test phase right now, which means it's somewhat less stable, but nightly builds should be coming soon. Since the standard skinned version of the Xperia Z Ultra has been supported by CyanogenMod for months, there shouldn't be any trouble getting the custom ROM running smoothly on the tweaked hardware. The standard Z Ultra now has a few nightly builds as well. The builds are marked as "honami" and "togari_gpe" on the CyanogenMod download page, respectively. If you're a regular custom ROM user, you know what to do: download the latest ZIP files, reboot into your custom recovery, back up your current ROM, and flash the CyanogenMod build. Optionally, add the CM11 Gapps file for access to the Google Play Store and other Google services. One last thing - the new build for the Xperia Z1 won't work for T-Mobile's customized Xperia Z1s, thanks to a locked bootloader. Boo, hiss.